CHAPTER II: RUN FOR THE SHADOWS ? The Alliance has saved Voss from the onslaught of the Eternal Empire, but the war rages on. Empress Vaylin plans her counterattack as she scours the galaxy for her brother Arcann, who has escaped into Wild Space. ? 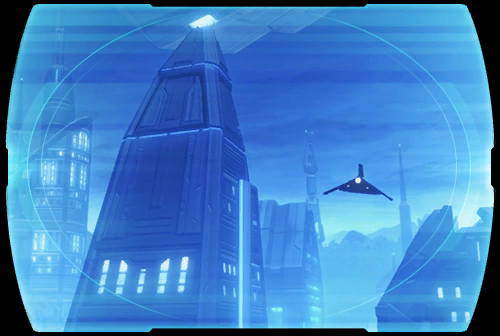 Meanwhile, Empress Acina, leader of the SITH EMPIRE, has invited the Alliance to Dromund Kaas, proposing a partnership against Vaylin. ? Commander <name> journeys into the storm-ravaged heart of the Sith Empire to consider her offer.... ?